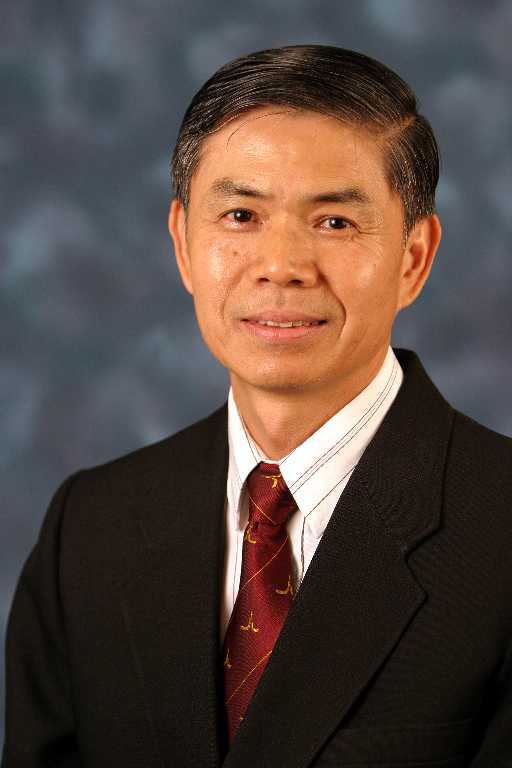 Many within the Methodist Church in Malaysia have struggled with one issue over the past few decades—Is Methodism passé? In other words, has it lost its spiritual vitality, and therefore its relevance as well? Some find the worship services dull and lacking in life, and the sermons dry and insipid. Others complain that the structures are too bureaucratic and rigid, with the church as a whole infected by the modern disease of ‘committeeistis.’ Still others are concerned that the church appears to lack evangelistic zeal and passion for holy living. Some think that the Holy Spirit no longer works within the Methodist Church and other traditional churches, but only in so called charismatic churches. Thus many concerned Methodists do suffer from some degree of loss of confidence in their own church, and some have left to join other churches. In this first article, I would like to address the issue of revival and spiritual vitality. Is this an important issue in Methodism? In asking this question, many forget that Methodism began with the quest for revival and spiritual vitality. England in early 18th century had lost much of the spiritual energy of the 17th century Puritan movement. Church life was in steep decline and political leaders were no help. Both King George I and his son were indifferent to spiritual things, and Robert Walpole, Prime Minister for 21 years, openly hostile to the gospel. Immorality was widespread among both highborn and the poor, with the latter living in deplorable social conditions as well. John Wesley summed the conditions of his times as follows: ‘What is the present characteristic of the English nation? It is ungodliness …Ungodliness is our universal, our constant, our peculiar character.’ And though deism, probably the earliest form of modern liberal theology, was successfully resisted, the church simply lacked the inner spiritual dynamic to turn the nation round. His intense and agonizing search for God of more than ten years finally climaxed at a prayer meeting on the evening of May 24, 1738 in London. He wrote: ‘In the evening, I went very unwillingly to a society in Aldersgate Street, where one was reading Luther’s Preface to the Epistle to the Romans. About a quarter before nine while he was describing the change which God works in the heart through faith in Christ, I felt my heart strangely warmed. I felt I did trust Christ, Christ alone for salvation; and an assurance was given me that he had taken away my sins, even mine, and saved me from the law of sin and death.’ What followed is now history. It opened the way for Wesley to become part of the revival that had already begun through others. Wesley and his friends were to receive together a deeper touch from the Lord a few months later, on the evening of 1st Jan 1739. Some 60-70 persons were gathered together in prayer that night, when the Spirit of God was poured upon them, as at Pentecost in Acts 2. This is best described in Wesley’s own words: ‘About three in the morning, as we were continuing instant in prayer, the power of God came mightily upon us insomuch that many cried out for exceeding joy and many fell to the ground. As soon as we were recovered a little from that awe and amazement at the presence of His majesty, we broke out with one voice, “We praise Thee, O God, we acknowledge Thee to be the Lord.”’ This, together with Wesley’s Aldersgate experience seven months earlier, marks the beginning of the Methodist movement in history. Wesley went on to lead the revival for another 52 years until his death in 1791. The revival was sustained for the next hundred years or so, both in England and in America. In England, Methodist membership grew to almost 5% of the adult population in the decade of 1840-50 and impacted the whole of church life in the country as well. 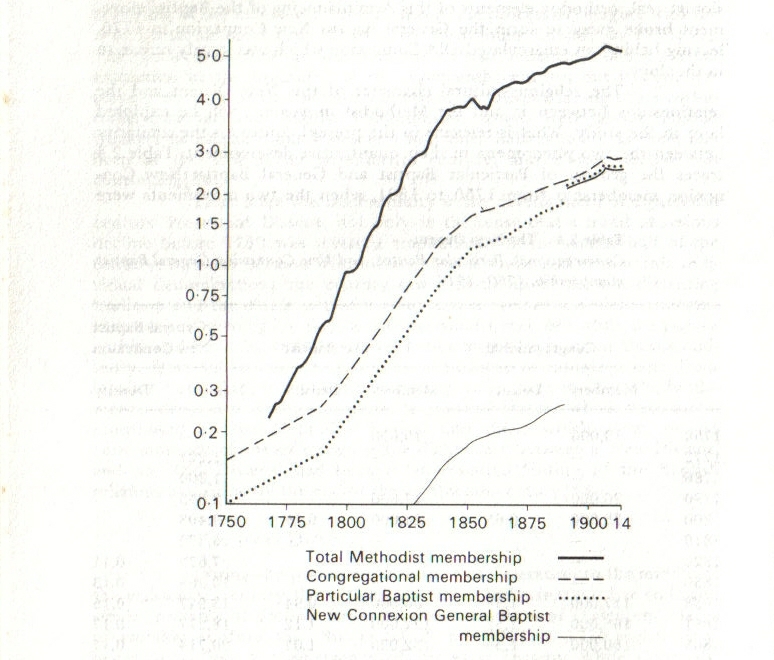 Other churches, especially the Congregational and Baptist, benefited from the revival and grew in tandem. (See the accompanying graph.) In America, it grew even faster in absolute numbers than in England, and outstripped almost all other churches in the 19th century. It would be good if God in His goodness would do something similar in our midst once again.